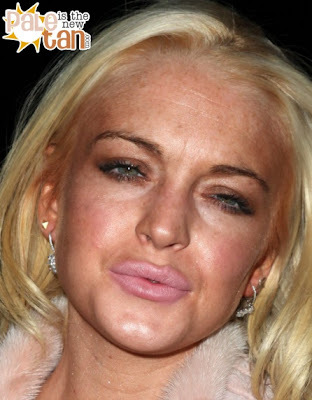 Celebrities are people just like you and me and make mistakes just like everyone else. Included in this list are George Hamilton, designer Valentino, Sheryl Crow, Paris Hilton, Christina Aguilera, Snooki, Lindsay Lohan, and Amy Winehouse. Hands and feet are usually the most difficult parts of the body to do a decent job with with a spray tan, as shown by Amy Winehouse's hand. Many celebrities reside in California, and California is the leader in melanoma in the country. Source: "Dermatologist shortage can delay diagnosing skin cancer". 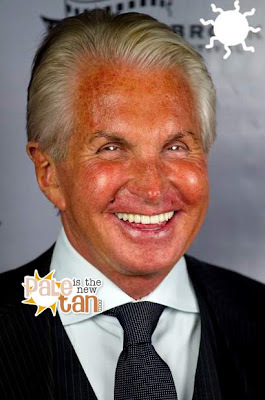 George Hamilton better be getting regular check ups at the dermatologist because his skin looks fried. Quite a few male coworkers of mine here in Los Angeles, ages 50 and older, have had to get chunks of skin cut or frozen off of their faces because of years of being in the California sun without sunblock. Some of the scars are pretty bad. "An estimated 3.5 million Americans develop skin cancer each year, Moy said. Basal cell carcinoma, squamous cell carcinoma and melanoma are readily curable if detected early, but melanoma that has spread throughout the body is exceptionally difficult to treat and generally proves fatal, he said. "Every hour, an American dies of melanoma," he said. All types of skin cancers are increasing in young people, especially females, he noted. 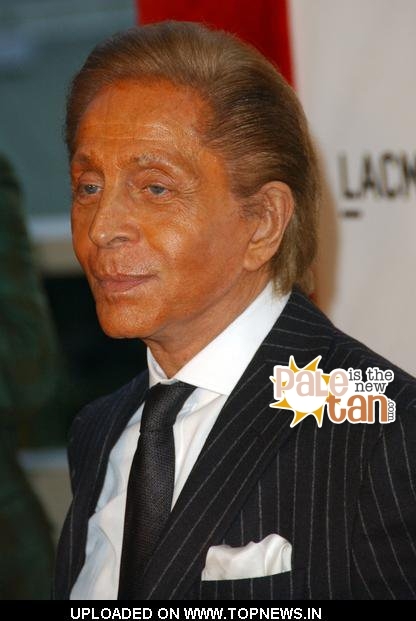 Researchers attribute that to the propensity of young women to bask in the sun and to use dangerous indoor tanning beds." 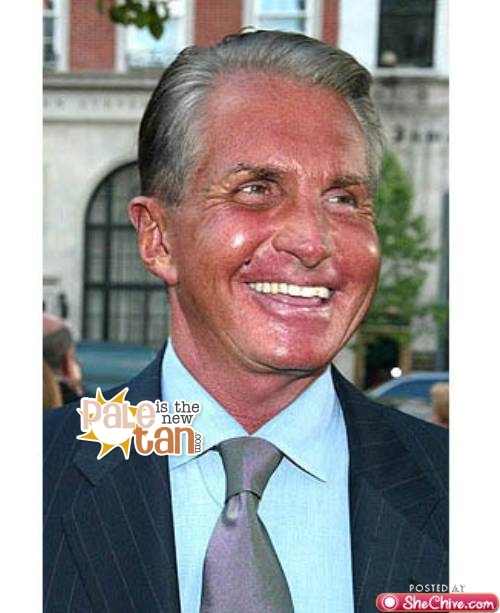 America is the land of the free, so if you want, you can go prematurely age your skin and increase your chances of skin cancer by going tanning. Or, you can turn yourself a weird blotchy orange color by going spray tanning. Or, you can save your money and just look natural. To quote the Hodge Twins...."But hey man, it's just advice. At the end of the day, you can do whatever the FUC/< you wanna do!" Great post! Some people certainly do not seem to realize that less really is more. There's a not-so-fine line between getting a bit of colour and being one step away from turning into a leather sofa. Not only is it actually displeasing aesthetically when you take it too far, but even more importantly -- or at least this should come as more important than the vanity side of things -- it is dangerous to your health. From sunburn to skin cancer, these risks certainly do not seem justifiable simply to achieve your desired skin shade.